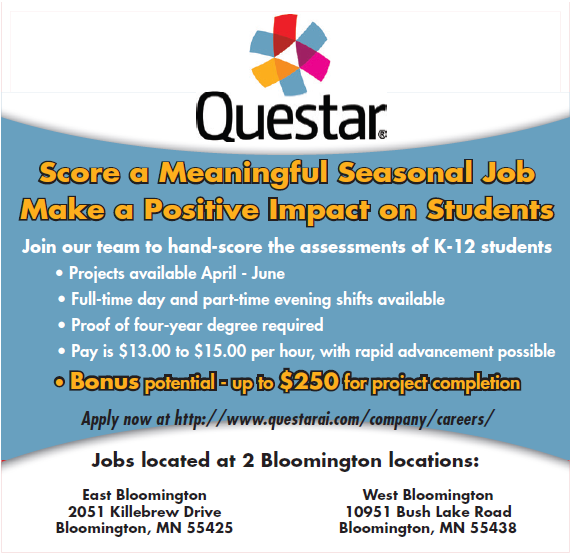 Score a Meaningful Seasonal Job. Make a Positive Impact on Students. Want to join our scoring team? Every year, students’ performances on high-stakes assessments play a role in their future educational opportunities. As a test scorer for Questar Assessment, you use your knowledge and judgment to hand-score student responses to various performance tasks. We will train you to apply various states’ scoring criteria consistently and accurately. Proof of eligibility to work in the U.S .
Project completion bonuses of up to $250 per project are available!